Thom continues to persist in his disordered thinking and tasting, falsely claiming Mt Dew to the Elixier of Life, when everyone knows that the Elixir of Life is the illustrious Dr Pepper. Dr Pepper cares enough to see to your general orthopedic health. 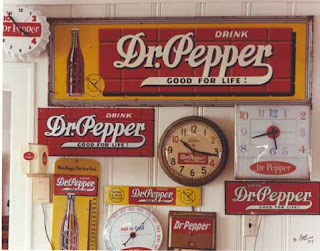 Dr Pepper not only allows you to drink well but also to remain on time to keep your committments. 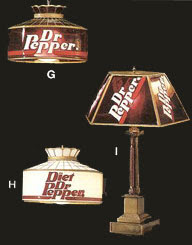 Dr Pepper helps you to see clearly. 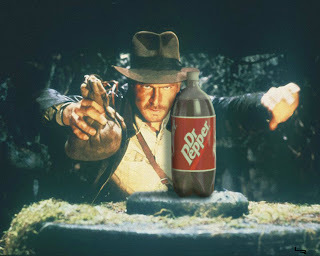 The good Dr. Jones drinks Dr Pepper. Won't you, too? From St. Rose of Lima church, Quincy, Illinois. From St. John the Baptist church in Quincy. Can someone please remind me how I can remove unwanted comments left anonymously? If I get one more such comment anonymous commenting shall be disabled. ...are up at A Beggar for Love, with a couple of pictures. The Bloggers Choice Award nominations are open for one more week and I'm still sitting at fifteen votes. Now, I certainly don't expect to make the top ten blogs, but it would be nice to move up a page or two. Might I have please have your vote (if you haven't already voted for me, of course)? Thom has made the preposterous claim in my comments box that Mt Dew is better than Dr Pepper. I have previously called people infidels for such. He is, of course, quite mistaken. Do you want to know why? Consider the following questions. Does Mt Dew have a cookbook? Dr Pepper does. I used to have one but I cannot seem to find it. Does Mt Dew have a museum? Dr Pepper does. One day I will visit the museum. Does Mt Dew have a podcast? Dr Pepper does. Is Mt Dew available in England and France? 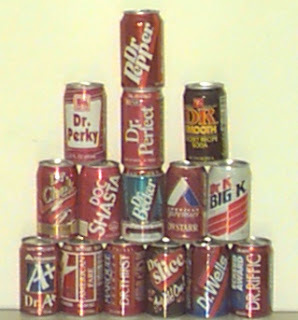 Dr Pepper is. I almost had some shipped to me when I stayed in Rome for a month. I survived on Roman hot chocolate. 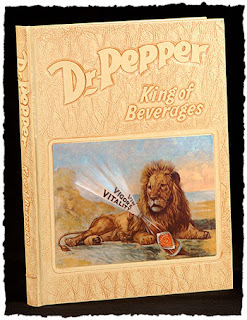 Ergo, one must conclude that Dr Pepper is indeed superior to Mt Dew. I fully expect a full com box on this one. The bells of St. Anthony of Padua parish once again call the faithful to humble prayer. In reality, external hammers that are made to strike the bells via a computerized system, thereby making the old ropes – and the men to pull them – unnecessary, were installed. The bells have sadly not rung here on any sort of a regular basis in at least five years. The Verdin Company out of Cincinnati, Ohio did the work for us. They were great to work with and have my high praise and hearty recommendation. The electrification of the bells will allow for the programmed sounding of the Angelus, Daily Call to Mass Bell, Weekend and Festive Peal of three Bells, the Funeral Toll and, if desired, the ability to toll the respective, desired, hours of the day. The program clock incorporates a battery back-up memory that will automatically correct after a power failure and will also correct for the Spring and Fall time changes that have been newly implemented. The programmer will also have an extended range, wireless, remote control provided for manual operations [it’s huge!]. This is especially nice for weddings, funerals and other “out of the ordinary” masses [sic] that may not be programmed. The Angelus now sounds at 8:00 a.m. (we want to maintain friendly terms with the neighbors), 12:00 p.m. and 6:00 p.m. The call to Mass is heard ten minutes prior to our daily 8:30 Mass (6:20 might be too early for the neighbors, but if we rang the Angelus at 6:00...) and before the Sunday Masses. The bells do not currently toll the hours, but I think I'll be trying to do some convincing on that one. Needless to say, I am delighted to hear the bells finally tolling! It reminds me of going to Mass as a child at St. John the Baptist in Quincy. The bells were always tolling as we rolled into the parking lot. The best part is that the ringing is of the actual bells, with the same tone and pitch they would have if swung manually. We have three bells in the tower, one steel and two iron, named Anthony, Aloysius and Gabriel. The steel bell is 27” in diameter and weighs roughly 300 pounds. This bell was installed in 1874 and was probably cast by the C.S. Bell Foundry in Hillsboro, Ohio. The largest of the bells, cast of iron, is 47” in diameter and weighs a whopping 1,430 pounds! This bell was also installed in 1874 and probably made by the C.S. Bell Foundry. It translates, “Holy (Saint) Anthony, patron most sweet, intercede for us.” If anybody can clarify the odd spacing and capitals, I would be much obliged. Now we just need to find the funds for a fourth bell so we can have the Westminster chime… I would "baptize" it...Benedict. Glenn, one of janitors, stands near one of the bells. Send resumes to the Reverend Monsignor Leo J. Enlow, V.F., St. Anthony of Padua Church, P.O. Box 764, Effingham, Illinois 62401. “It’s very rude to stare!” said the Doorknocker with the ring in his ears in the movie Labyrinth to Sarah as she sought a way to find her baby brother, Toby, who was taken by the Goblin King. This is advice each of us should heed. Being out of DrPepper, I went shopping this morning for the world’s first soft drink. While at the store I decided to pick up a few other items (we were also out of olive oil, which negated the plans I had yesterday for lunch). While moving through the store choosing the least populated aisles I could not help but be aware of the many stares I received as I pushed my cart through the store; I was wearing my Roman collar (with the vest and cufflinks, to boot). When I would move in the direction of a person staring at me, I would look them in the eye and say, “Good morning,” to which only a couple responded with a smile. Nobody returned the greeting – at least that I heard – and most simply kept staring at me as though I either had no emotions or thoughts of my own or were some sort of alien creature. I don’t know if you’ve ever been stared at by lots of people while you are busy doing something else. If you haven’t, it’s a most uncomfortable feeling, sort of like being locked inside a glass room while everybody else watches you go about your daily work. You know, that feeling you have when you suddenly become aware that someone is reading over your shoulder or watching you draw a picture. The trouble with staring at people is that the very act itself denies the dignity they have as people made in the image and likeness of God; it denies them the basic respect they deserve, simply because they are alive. Now I know that it isn’t every day that you see a priest shopping for DrPepper in his clerics; it’s probably more likely to see a priest shopping without his clerics (which I generally do to avoid the stares, but I had a meeting this morning and only a few minutes). For many, a priest is not seen very often at all. Nevertheless, this is no excuse to simply stare at him as though he were a figment of your imagination. A simple look in his direction and a kind, “Hello,” will do nicely. Who knows, he might even respond and a conversation might follow. That wouldn’t be so bad, would it? Always remember the exhortation of the doorknocker: “It’s very rude to stare.” Thank you, and have a nice day. Throughout the day I have been reflecting and reminiscing (that's an odd looking word) on the day of my ordination and first Mass. They were glorious and happy days, surrounded by family and friends and filled with the joy of the Lord. The reception after the Mass of Thanksgiving was held at the Knights of Columbus hall with the Quincy Early Music Consort providing music that everyone greatly enjoyed, contrary to what my pastor expected. He thought people might find the music a bit odd. Who knows; perhaps they did, but they enjoyed it nonetheless, giving them a standing ovation when they quietly tried to sneak away! At every table there were bottles of DrPepper with bowls of lemons and cherries which, as everyone knows, is the best way to enjoy a DrPepper. The meal was very good that evening and consisted of lasanga, green beans, salad, rolls, and cake for desert. There were seven small cakes each with a symbol of one of the sacaments on it and two larger cakes. The baker outdid herself that night! (Sadly, so far as I know, nobody thought to take good pictures of the cakes.) I don't think I actually ate that evening; if I did it was only a little bit towards the end. I spent the evening wandering around the room visiting with those who came to celebrate with me. It was truly a great joy! I've posted a few pictures from the reception that I thought you might enjoy (and these include a chasuble I forgot to post yesterday); in this way you can share in my delight this day. Two years ago today, on the Solemnity of Corpus Christi, I celebrated my first Solemn Mass of Thanksgiving in St. John the Baptist church of All Saints parish in Quincy. In honor of the day, I am posting the homily that I preached that day. My dear brother priests and deacons, my dear family, my dear friends in Christ: the Lord give you peace! Today we have come for a great variety of reasons. Some have come to see their relative a priest. Some have come to see an old friend or a new one. Some have come, perhaps, for Mass later in the day and have slept in – I know I did. Some have come to see a new priest. Some have come to celebrate their joy and faith at the ordination of seven priests for our Diocese. Some have come to thank our Eucharistic Lord for his gift given on the Cross, which he offers to us each day. Whatever our reason for coming here today, I can safely say that we have not come for me. I am not the purpose for our gathering here today. We have come to celebrate – to make much of – not me, but of the marvelous gift of the Body and Blood of the Lord Christ and of his gift of the holy priesthood. His gift of His true Body and Blood is our reason for gathering because he has commanded us to do so in order that we might “eat the flesh of the Son of Man and drink his blood” (John 6:53) and “have life because of [him]” (John 6:56). What a great and profound gift it is for me to celebrate my First Solemn Mass of Thanksgiving on this the Solemnity of Corpus Christi in this Year of the Eucharist given us by our beloved Pope John Paul II. How fitting it is for the ordination of seven priests to take place during the year and particularly during the weekend when we turn our gaze with greater focus and intensity upon the Body and Blood of the Lord! The priest is ordained to offer the sacrifice of the Mass, to celebrate the Eucharistic Liturgy and so to make Christ present to his people until he comes again in glory. The two occasions of this most joyous of days – Corpus Christi and my first Mass – demonstrate in a tangible way the necessity of the priesthood for the Eucharist and of the Eucharist for the priesthood. Christ has given us these inseparable and indispensable gifts so that he might always be with us. Although our lives are marked with many days of blessed festivity such as today, we know that this pilgrimage of earthly life is no easy journey. It is marked with difficulty and with adversity and particularly so because we seek to follow “the way, the truth, and the life” (). As those who take up the name “Christian” we must also take up the cross like our Lord and with Simon for he says, “If anyone wishes to come after me, he must deny himself and take up his cross daily and follow me” (Luke 9:23). Following after Christ Jesus is no easy venture, but is one filled with joy and sadness, success and failure, but we know that the ultimate victory is his so we come after him with confidence, but we are not strong enough on our own. Do not forget the Lord, your God, who brought you out of the land of Egypt, that place of slavery; who guided you through the vast and terrible desert with its seraph serpents and scorpions, its parched and waterless ground; who brought forth water for you from the flinty rock and fed you in the desert with manna, a food unknown to your fathers (Deuteronomy 8:14-16). This manna was a sign for the people that God was with them even and especially in their struggles and adversities; that he had not left them alone. God himself fed them and sustained them on their journey and gave them the strength they needed from him because they were not strong enough on their own. But as wondrous as this bread was they “ate and still died” (John 6:49). This bread, this manna, could not give them the life and peace we seek. The disciples on the road to Emmaus felt this alone-ness as well, as though God had orphaned them. Without knowing it, they pleaded with the Lord, with the one with whom they had walked, urging him, “Stay with us” (Luke 24:29). 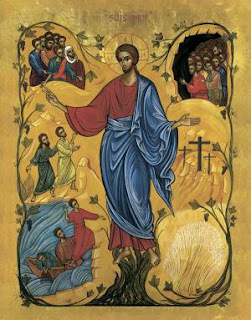 He does stay with them, he breaks the bread with them, and “in the breaking of the bread” they realize the presence of Jesus in their midst (Luke 24:). Through his gift of his Body and Blood Jesus remains with his disciples who cannot live without him or possibly make the journey. Through the Holy Eucharist the Lord remains with us; he is near to us and is in our midst. Never is he absent! He has not abandoned us or left us orphaned! He is always present to sustain us, to comfort us, to strengthen us! “As we eat his Body which he gave for us we grow in strength. As we drink his Blood which he poured out for us we are washed clean” (Preface 47). Through the ministry of the priest, who acts in the person of Christ, and through the power of the Holy Spirit the bread and wine are transformed into the very Body and Blood, Soul and Divinity of Christ the Lord that we might receive him, that he might be near to us, and so that we might “live forever” in him (John 6:58). See, daily He humbles Himself as when He came from the royal throne into the womb of the Virgin; daily He comes to us in a humble form; daily He comes down from the bosom of the Father upon the altar in the hands of the priest. And as He appeared to the holy apostles in true flesh, so now He reveals Himself to us in the sacred bread. And as He appeared to the holy apostles in true flesh, so now He reveals Himself to us in the sacred bread. And as they saw only His flesh by means of their bodily sight, yet believed Him to be God as they contemplated Him with the eyes of faith, so, as we see bread and wine with [our] bodily eyes, we too are to see and firmly believe them to be His most holy Body and Blood living and true. Christ calls us to form one body with he himself as our head and it is the Eucharist which forms us into one body and which is the ultimate sign of our unity. As St. Paul asks, “The cup of blessing that we bless, is it not a participation in the blood of Christ? The bread that we break, is it not a participation in the body of Christ? 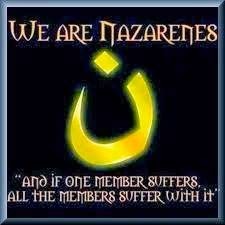 Because the loaf of bread is one, we, though many, are one body, for we all partake of the one loaf” (I Corinthians 10:16-17). It is Christ himself who unites us and binds us together. Through his Body and Blood he forms us into himself so that it is no longer we who live but Christ who lives in us. In Baptism we are configured in Christ and we promise to grow in union with him and in the Eucharist this union is fostered and strengthened. St. Francis of Assisi, The Admonitions 1.16-21. Pictures of the Mass are here. 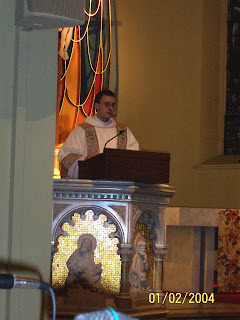 Saturday's ordination of transitional Deacon Kevin Muniz and of Father Tyler Miller went very well. The cathedral was full, with a greater number of the faithful than I expected. (I am told that about 115 youth attended the Vocations Rally afterward.) A good number of my brother priests of the Diocese were also present at the ordination, together with several priests from other Dioceses and Orders. Fr. 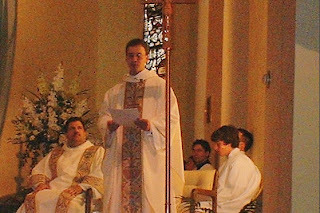 House and I (formerly the two youngest priests in the Diocese) served as the Masters of Ceremonies for the ordination. From our perspective, the Liturgy was a bit bumpy, but - as is usually the case - for everyone who has not served as an MC it was a beautiful Liturgy. Sometimes we MCs are too particular for our own good, though all out of great love of the Liturgy and devotion to the Eucharistic Lord. With the ordination of Fr. Miller, the special honor (I'm only making that part up) of being the youngest priest of the Diocese is no longer mine; I am now the second youngest priest. Fraternal Kiss: "Veni Creator Spiritus"
Communion: "One Bead, One Body" by John Foley and "Ave Verum Corpus"
Concluding: "Now Thank We All Ou God"
Sunday afternoon I had the honor of serving as the Master of Ceremonies at Fr. Miller's first Mass of Thanksgiving at Immaculate Conception parish in Mattoon. The last time I was in the church in Mattoon was for the Mass in which Tyler declared his candidacy prior to leaving for the North American College (I was the MC then as well). Thirty or more priests concelebrated the Mass, leaving very little room in the sanctuary to move about. The parish choir also sang with great skill and the church was full. I don't have the program from the Mass handy at the moment to give you the songs. Fr. Miller celebrated a beautiful Liturgy. Fr. Miller has been a good friend over the years and I am happy to have him back with us from Rome. In fact, Fr. 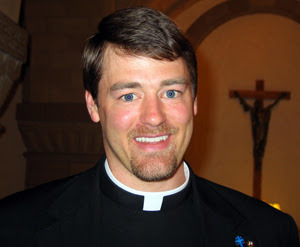 Miller has been assigned as the Parochial Vicar of Our Lady of Lourdes parish in Decatur, effective July 1st. Today being the anniversary of my ordination to the priethood, I thought it fitting to share, in somewhat brief fashion, the story of how I was able to discern the Lord calling me to serve him as a priest. What follows is that story, though there is always more to say. In order to fully share my story, I must – as I so often the case - go to the beginning. I grew up in a home that was not unlike many others, although it was certainly not perfect by any means, nor is any family. When I was about four years old, my mother developed a brain tumor, which confined her to a hospital bed in our home. I have a few very fond memories of Mom walking, but most of my memories are of her bed ridden. After Mom’s cancer developed in this way, Dad stopped working as an electrician and stayed home to care for her, my brother, and I. On 20 February 1986, my brother and I awoke as usual. We readied ourselves for school and only needed Dad to cook us breakfast before we got on the bus and were off to school. Oddly though, Dad was not up yet. Typically when we awoke, Dad was already in the kitchen listening to the radio and fixing breakfast. This morning, though, he was not. My brother and I thought nothing of this and when we were ready, I went to wake him up. Not finding him in his bedroom, I found on the couch where he had fallen asleep the night before. I called his name and shook him, but Dad would not wake up. I woke Mom and she, too, tried to rouse him, but to no avail. Out of desperation, we called my Aunt Marie, who arrived shortly thereafter, but she could not wake Dad, either. At long last, we called the ambulance. When the paramedics arrived, my brother and I were sent outside to wait with the neighbors who had come down. If I remember the morning correctly, it was snowing lightly but was not chilly outside. The wait outside seemed like an eternity. Finally, one of the paramedics stepped outside. He said not a word, but I can still see the look on his face as he sadly shook his head as though to say, "No, he did not make it; he is dead." The look on his face said it all. As soon as he stepped through the door, I knew, and I cried my heart out. I could do nothing but cry for the next two or three days. I was not quite eight years old. I was, quite naturally, devastated. For a long time, I constantly asked God, “Why did you do this? How could you let this happen? What did I do to deserve this?” I simply could not understand. I am not quite sure how I survived that experience, but I did. My brother and I moved in with Dad's sister, her husband, and their four children. Let me tell you, it was a houseful, especially when you count the dogs, cat, hamsters, and bird. Mom was placed in a nursing home and we visited her every week after Mass and other times throughout the week when we could. As time progressed, she grew steadily worse. On 18 January 1988, I was building yet another bigger and better Lego castle with my cousins when the telephone rang. My Aunt then told me the purpose of the call: Mom had just died. I was not quite ten years old. I was again devastated. Again, the questions of “Why?” emerged from deep within me. I could not grasp how God could take away the two most important people in my life, especially when I was so very young. I had done nothing wrong. I did not deserve this. Day after day, I would ask God, "Why? Why me?" I also asked countless times for him to be returned them to me. I remember wishing many times, "Star light, star bright, first star I see tonight. I wish I may, I wish I might, have this wish I wish tonight." Each time I thought those words, I asked for my Mom and Dad to be returned to me. I told no one of this wish. And yet, even though I told no one my wish, it never happened. To this day I have not received an answer to my initial question, but as I continually questioned him, I slowly found myself praying and in the midst of this prayer I heard him say to me, “It is I. Do not be afraid” (John 6:20). “I am here. I love you.” “I will not leave you orphaned; I will come to you,” and come to me he did: through the Scriptures, prayer and the sacraments (John 14:18). I slowly came to know that “the Lamb who is in the center of the throne will shepherd them and lead them to springs of life-giving water, and God will wipe away every tear from their eyes” (Revelation 7:17). I began to feel his loving presence and I began to ask him – subconsciously, but I asked him nonetheless - “Who are you, sir?” As I listened to him in prayer I came to know him and I recognized him as “My Lord and my God” (John 20:28). Growing up without my parents was very difficult indeed, and their deaths impacted my life very profoundly. All of my personality and characteristics can be traced back to their deaths in some fashion. Do not get me wrong, my Aunt and Uncle were both very good to me and I could not have asked for better, but they could never take the place of my parents. This they realized and never did they attempt to do so. These many years later, I look back on these two events that shaped my very being with gratitude, not because of the loss of my parents, but rather because of how I grew and matured as a result of their deaths. After Dad died, but especially after Mom, I began to pray to God, asking Him for answers, for support, for love. And ever so slowly I began to feel the great love of God and drew immense peace and comfort from that experience. I began to spend time in the presence of God and to feel His love in a very real way. It was in my great sadness and pain that I went to Him, and there that I experienced His love. When I was seventeen I went on my first TEC (Teens Encounter Christ) retreat in Quincy. Here, I was able, for the first time, to really let go of much of the hurt and pain that I had kept bottled up deep within me. It felt so good to be free of that pain after so many years, and with that release, the love of God seemed to flow through me. I could truly feel the healing presence of God around me. This call was further manifested in the person of Fr. 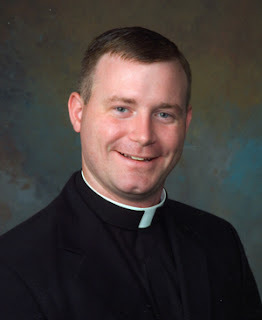 John Beveridge, the pastor at St. John the Baptist parish (St. John the Baptist parish merged with St. Rose of Lima parish to form All Saints parish in 1999; All Saints parish merged with Immaculate Conception parish to form Blessed Sacrament parish in 2007). Fr. John helped me through these difficult experiences without even fully realizing he had done so. He was always there for me from the moment I first arrived in the parish after Dad died. As I grew, so too, did our friendship. He was always there with a listening spirit, a compassionate heart, helpful advice, a great joke, and an encouraging and loving sense to him. Fr. John shared in all of my pains and in all of my joys; this I felt called to do for others. My experiences of Fr. John’s loving care and concern for me, together with my experiences of God’s deep love for me, began to foster within me a desire to serve Him with all that I could. This desire developed through grade school and especially into high school, as I began to become more and more involved with the parish and with the TEC community. In high school I began to feel him stirring within my heart, calling me to his service. I heard his voice “in a tiny whispering sound” in the stillness of my heart (I Kings 19:12). I came to realize that his love that I had experienced and came to rely upon required me to give it to others; I could not keep it to myself. I heard him calling, “Whom shall I send? Who will go for us?” (Isaiah 6:8). 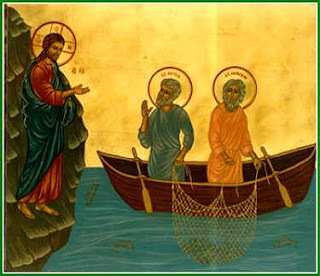 As he called to the Apostles so he called to me, “Come after me, and I will make you fishers of men” (Matthew 4:19). But unlike the Apostles I did not immediately leave everything to follow him. I said, “I am too young” (Jeremiah 1:6) and he responded: “Follow me” (Mark 2:14). After my first TEC weekend, I could not decide exactly what I wanted to do with my life, whether I wanted to teach history or become a priest. I told no one about what the Lord was saying to me, which made even more remarkable what soon happened after: at this point of indecision many parishioners approached me before, after, and during Mass and told me, “You should think about the priesthood; you’d make a good priest.” I was stunned. Within a matter of weeks, it was not simply a handful of my fellow parishioners saying this to me, but dozens, and the number grew with each passing week. They never pushed or shoved, they simply commented. But even with such affirmations, I still was unsure. I knew that I was not worthy of so great a calling, but who of us is? At one point, I decided that I wanted to teach history and yet, as is often the case with God, the desire of the priesthood never left me. It was like a flashing light in the back of my mind irritatingly blinking, “Hey, look at me!” And so I did. I looked closer at, and prayed about, the priesthood and came to the conclusion that this is God’s call for me: to be a priest. The priesthood simply seemed as though it would fit my personally and my desires, and I somehow knew that only as a priest would I ever find joy, contentment, fulfillment and peace. After I made this decision, the thought of teaching history no longer appealed to me. (Now, as a priest, I teach Church history in our parish high school.) After this decision, signs of God’s call became more and more apparent. I grew more in love with helping at the parish and in the TEC community, and this continued through my college years at Quincy University as I devoted most of my time to Campus Ministry and the RCIA. All through college, the desire to serve God as a priest only grew. It was in each of these experiences that I most deeply felt my call to the priesthood as a call to share the love of Christ Jesus with a hurting world. They seemed to come together, almost like a puzzle, and in them I was able to discern the Lord’s will for my life. After receiving the Bachelor of Arts (B.A.) 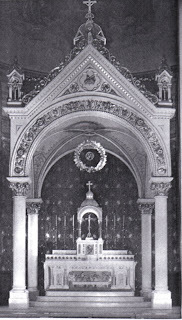 in history, I went to study and be formed for the priesthood at University of St. Mary of the Lake / Mundelein Seminary. After receiving the Baccalaureate in Sacred Theology (S.T.B.) and the Master of Divinity (M.Div. ), the Most Reverend George J. Lucas, Bishop of Springfield in Illinois, ordained me to the Priesthood of Jesus Christ on the 28th of May 2005 for service in the Diocese of Springfield in Illinois. Where do I find fulfillment? Where these three answers coincide there I am certain is God's will. If you find yourself asking, "Lord, why me? ", ask yourself instead, "Why not me?" Two years ago today, the Most Reverend George J. Lucas ordained seven men to the Priesthood of Jesus Christ for priestly service to the Diocese of Springfield in Illinois. I am one of those seven. 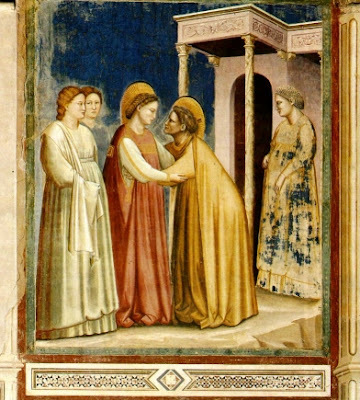 Receive the obation of the holy people, to be offered to God. Understand what you do, imitate what you celebrate, and conform your life to the mystery of the Lord's cross. This I strive to do each day and some days I do so more faithfully than others. Nevertheless, the Lord is most gracious and generous to me, a servant of Christ and a steward of the mysteries of God. During the pontificate of Pope John Paul II the canonization of saints became almost routine. He added so many to the Church’s list of recognized saints. The canonization masses in recent years, though, were anything but routine. They were festive and involved people from many nations and many cultures. Pope John Paul was teaching us by a beautiful repetition what the Second Vatican Council highlighted and what was taught by Saint Paul in the first generation of the Church: all who are baptized are called to be saints. Each of us shares in an important way, in an irreplaceable way, in the saving mission of Jesus who is priest, prophet, and king. John Paul not only told us that we should become saints, he showed us how to do it. More importantly, he demonstrated in so many ways that it’s something that can be done. It doesn’t require money or good looks. It does require integrity and courage. Even in the face of great adversity – and especially then – we can follow Jesus, we can grow in holiness, we can change the world, even as we are being transformed ourselves by the power of the Holy Spirit. From the midst of this whole community of believers who are called to sanctity, the Lord calls men to the ordained priesthood. Our seven candidates for ordination today can also take special encouragement from the life and ministry of John Paul II. He has done so much to shape the Church of which you men are being called and to which you will be sent. Thomas, Michael, Joseph, Aloysius, Jeffrey, Daniel, and Daren, we have learned from the late Pope that not only are men called to the priesthood in our time, but also that it can be done and we can respond and do it with the help of the Holy Spirit. It doesn’t take good looks or money or all the things that seem to add celebrity in our time. It does take integrity and courage and the Pope demonstrated in so many ways to the world. If you live with integrity and preach the Gospel courageously, people will listen, people will notice. As they did with Pope John Paul, some will certainly object to what you say and to what you do, but you will change the world, even as you are being changed and being conformed more and more to Christ the High Priest. My brothers and sisters, these seven men are being ordained in the year of the Eucharist, a particular part of the legacy of Pope John Paul. The Eucharist is God’s gift to us in the Church. These new priests are clear signs that this is truly a year of favor in the Lord. We acknowledge with particular gratitude the faith and love of their parents, some of whom are with us today, some of whom pray for us halfway around the world, and some of whom have gone to the Lord. I hope you will be particularly convinced that these days the community of the Church will be strengthened and fed as much by who you are as by what you do. You become now a living sacrament of Jesus Christ. You are an integral part of the presbyterate of this Diocese, this wonderful presbyterate; so many of our priests are here today to welcome you. You are a valued coworker with me in the proclamation of the Gospel. In the years ahead I’m going to depend on you for many things. Much of what I will ask of you will be shaped by our prayerful reading together of the signs of the times as the needs of our whole Church become more clear. We cannot see the future now in all of its details. I do know this much, though: I will depend on you everyday to live your priesthood without compromise. Our people are depending on you, as well as I am, to live virtuous lives, and to let them see what virtue looks and sounds like. You are not perfect. You will fall short as priests have done the since the Apostles. Still, we must never plan to cut corners or strip our excuses for compromising virtue ahead of time. When we do that we poison the flock that rightfully comes to us looking for the Bread of Life. If you let them, God’s people will teach you, too. They will teach you the ways of virtue if you are willing to watch and to listen. After all, we are all called to be saints, and no one vocation ever grows in holiness at the expense of another. In this Diocese we look to Mary as our heavenly patroness and as our model of virtue. Today I ask her to be the Mother of our new priests, as we know she wants to be, because the sacramental character of her Son is now imprinted within them. May she bring the many needs of our Diocese, the needs of our people and priests, to Jesus, our High Priest. And may she bring us to him in our homes, in our parishes, and finally, when life in this world is ended, may we join her and all the saints in the Liturgy of heaven. The Catholic Times also had some fine coverage of the ordination here and here. Hat tip to A Catholic Mom in Hawaii, who incidentally has a fine post up about indulgences. ...at A Beggar for Love, mostly about the Eucharist. The Holy See has a new page up for Pentecost, complete with homilies and addresses of past Pontiffs concerning the Feast and the Gifts of the Holy Spirit. A brilliant idea! Tomorrow morning His Excellency, the Most Reverend George J. Lucas, will ordain Kevin Muniz to the Sacred Order of Deacons and the Reverend Mister Tyler Miller to the Priesthood of Jesus Christ. Yours truly will be the assistant Master of Ceremonies at the ordination. I will depart in about two hours for Springfield to begin working on the preparations. Blogging will thus be light over the next couple of days, probably through Monday evening. I invite your prayers for these two men and for the entire Diocese. If you are in the area, you are more than welcome to attend the ordination. After the ordination a vocations rally will be held. Fr. Z. has found an awesome picture of the Holy Father and is asking for captions. Among the numerous priests to come from St. John the Baptist parish in Quincy is the Reverend Father Berard Zehnle, O.F.M., my great-uncle. Given the name Andrew at birth, he and his brother August were the second set of twins to his parents, Ambrose and Mary (twins seem to run in the family; I am a twin myself, though my twin, Matthew, died shortly after birth). Andrew and August were born in Quincy - the Gem City - on 3 January 1879. 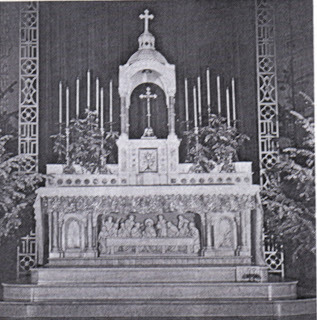 The twins were baptized at Immaculate Conception parish in Quincy just four days later. His Excellency, the Most Reverend James Ryan, Bishop of Alton, confirmed the boys at St. John the Baptist parish on 10 June 1894. 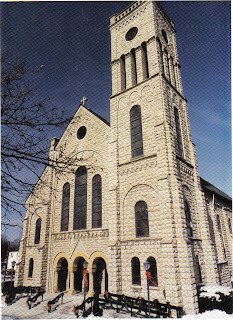 Andrew was invested with the habit of the Order of Friars Minor on 25 July 1901 in Teutopolis, Illinois (just a few miles from where I now live). 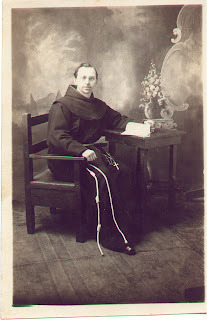 He made his simple profession on 29 July 1902 and his Solemn Profession on 17 August 1905 in the city of the Teutons. 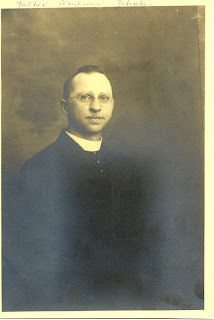 Brother Berard received the tonsure and was ordained to the subdiaconate in St. Louis, Missouri on 29 June 1906. He was ordained the Sacred Order of Deacons on 28 June 1907 and to the Priesthood of Jesus Christ on 26 June 1908, both in St. Louis. He died in Jordan, Minnesota on 28 May 1937. He is buried in Quincy. In the parishes in which he served, Fr. Berard was known for his love of drama. Fr. 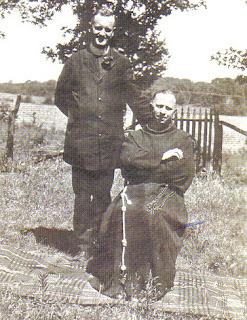 Berard is sitting down, but I do not know the priest standing next to him. 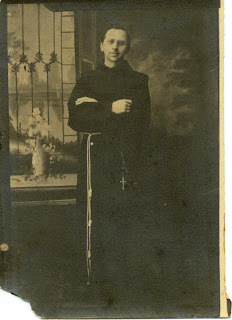 Does anyone recognize this priest? ...says our Lord. What follows is a list of the number of men and women who have answered the call of the Lord to the priesthood and consecrated life from St. John the Baptist parish. Not a bad track record if you ask me. Yesterday I received a phone call from the local orthopedic surgeon regarding the MRI that was taken of my shoulder. I suffered an anterior sublaxation (or something like that). There is some small bruising and compression on the side and backend of my humerous near my shoulder, but my rotator cuff and capsule are fine and suffered no tearing. The doctor says there is no need to immbolize my left arm (which is good because I haven't had it immobilized this whole time) and that I should avoid reaching overhead or behind him with my left arm for a while yet. Next week sometime the physical therapist will give me some exercises to do to improve the strength of the arm again. We've been in the process of working toward establishing a children's choir here at the parish and one of our parents and teachers has been working with the children who are interested. One of our Sisters who works largely with our sick and elderly came up with the brilliant idea to ask the children to sing at the Mass at - what I call - the St. Anthony of Padua Retirement Monastery (faithful blog readers will know what I mean). I just happened to have my camera in my pocket (it's true; it's the nice thing about having a small camera now; I can take it with me wherever I go and it doesn't get in the way) yesterday when I arrived to celebrate the Mass so I asked one of the moms to take pictures. She agreed and I'm glad she did. The children sang very well and even proclaimed the First Reading and the Psalm very well. I was very pleased with them. As usual, the elderly prayed very well. It was a beautiful celebration. Because this retirement center does not have it's own chapel, we meet in one the common spaces in the hallway. It is generally a good location as it's in the back of the building and doesn't get a great deal of traffic when we're there. As you can see, we don't have a lot of space to work with. The only real trouble with celebrating Mass in places that don't have a chapel is finding a decent sized table to use that's high enough that the priest doesn't have to almost fall over to reverence it with a kiss. I haven't found one high enough yet. And I haven't found a "portable altar" that is actually portable, unless you have a small entourage with you, which I haven't, though I would be open to one. 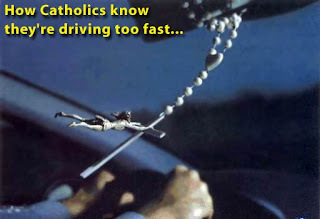 This post from Letters From a Young Catholic reminded me of this picture sent to me many years ago: I think Jesus does this in my car from time to time, but too often. 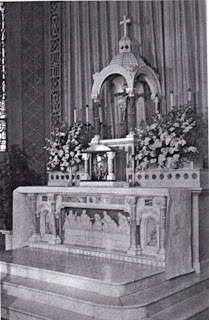 The ambo or pulpit holds tremendous importance within any church because it is the place from which the Sacred Scriptures are proclaimed. The Roving Medievalist has asked for additional pictures of the pulpit from my home parish. I don't have too many, but I am happy to post some. 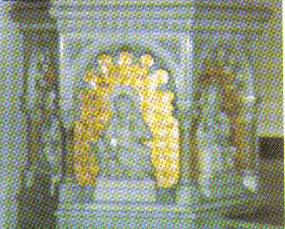 This lousy scan from one parish history book show three sides of the pulpit. The pulpit is pentagonaly is designed, with one side remaining open by which to enter, while the remaining four sides each have a relief of one of the four Evangelists, with their evangelical symbols. The fourth Evangelist is very close to the wall and is thereby - quite regretably - impossible to photograph. Here I am proclaiming the Gospel from this pulpit as a Deacon. 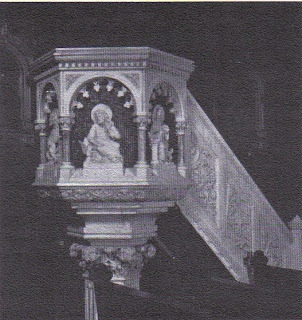 Prior to 1943, the pulpit was elevated rather significantly and was located within the body of the church. 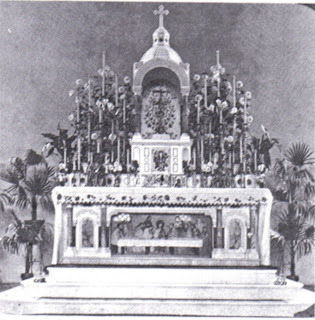 Here is a picture from the history books of the original pulpit. Surprisingly, I've posted precious little about the Blessed Mother in this, her month. This is due not out of any disrespect to Holy Mary, but to my delightful vacation from which I recently returned, and dearly want to return. At any rate, the Roving Medievalist has inquired about seeing more pictures of Our Lady's altar from my home parish of St. John the Baptist. I am happy to comply. 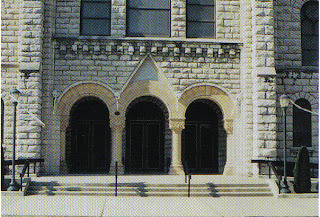 The facade of St. John the Baptist church in Quincy. From the other angle, and in the winter. Does anyone see something wrong with this?